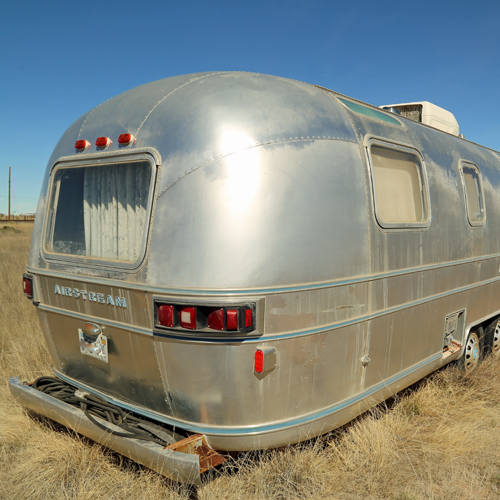 On Valentine's Day, we packed up our rig in Del Rio after only staying a week and took off for Marfa, Texas. 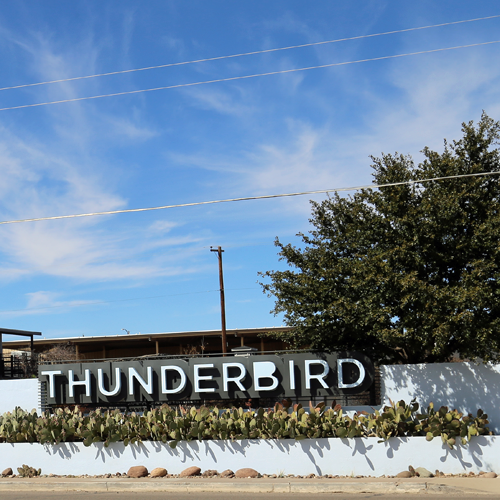 Once a dying West Texas town, Marfa was revived in the last few decades as a mecca for minimalist art. Although its population is only around 2,000, there are art galleries aplenty, and lots to see. There's probably no business in town more playfully named than the Museum of Electronic Wonders and Late Night Grilled Cheese Parlour. Yes, that's one place. The hipster count is amazingly high, but with that population tends to come good eats and interesting shopping, so we don't complain. Josh and I definitely appreciate art, but wouldn't call ourselves "art people." 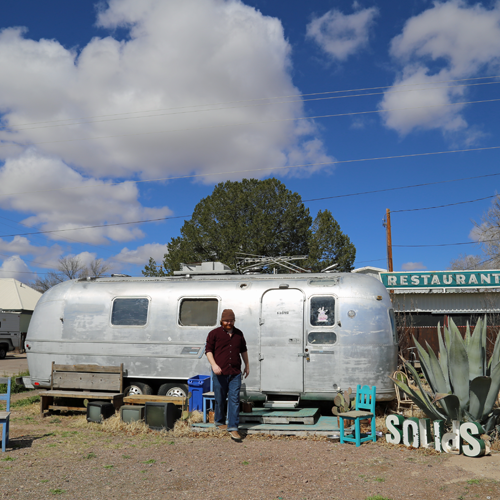 Even so, we found Marfa a really enjoyable, cool and quirky place to explore. The only downside: it's not cheap. We only ate out a couple of times, but even the grocery store had above-average prices ($5 for a half gallon of milk!). I guess that's what we get for staying in the middle of nowhere, though. It's a three hour drive the closest airport. 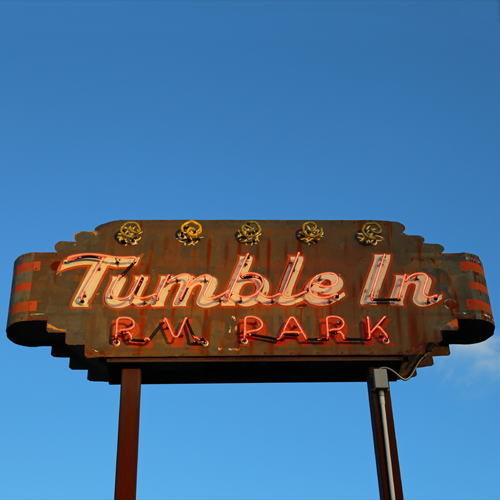 Our home for a couple of weeks was the Tumble In RV Park, just east of town on Highway 90. It is described in reviews as a park with personality, and we definitely found this to be true. The retro feel extends beyond the park's own decor. 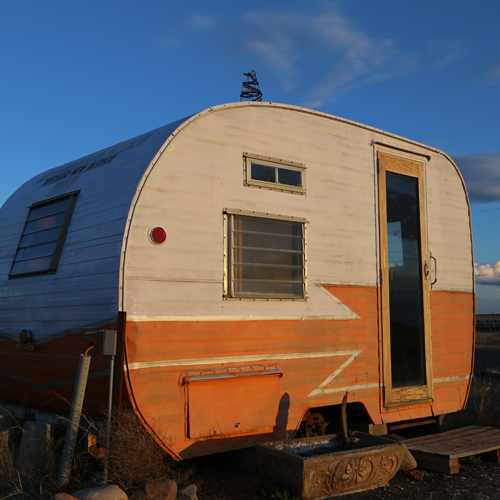 Cute vintage trailers, many of which were home to young RVers like us, came in and out all the time. 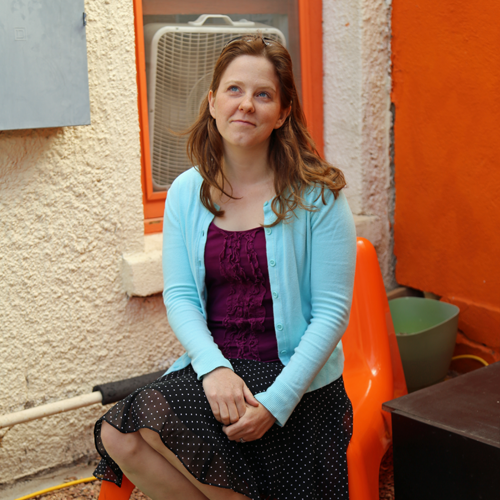 When we arrived, our next door neighbors were fellow bloggers and our new friends, The Democratic Travelers. 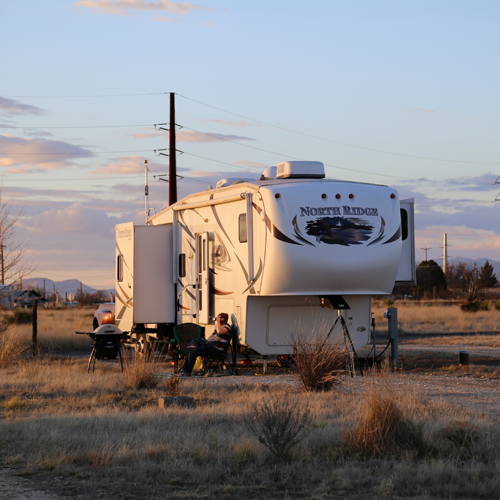 They crowd-source their RV itinerary and have been going strong for two years. Give them a follow. For the first week we were at Tumble In, the temperatures were comfortable. Although it was too windy to keep the awning out, we enjoyed daily walks around the park. 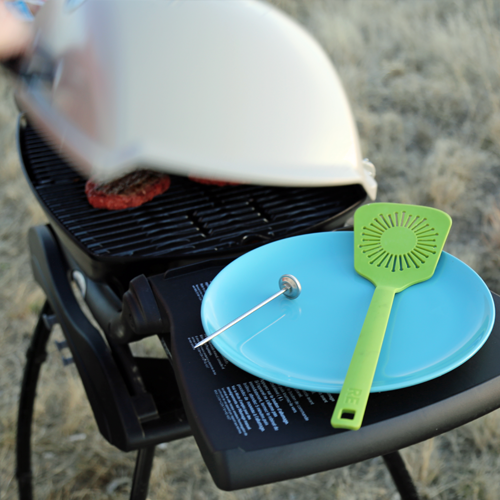 We also broke out our new Weber grill for the second time. Because the area is so remote, most of what we did and saw was from the car. We were amazed by the changing topography as we headed west from Del Rio. This was a new face of Texas to me. Even though I'd been to Big Bend National Park in the past, I'd never been farther west in the state than Marathon. 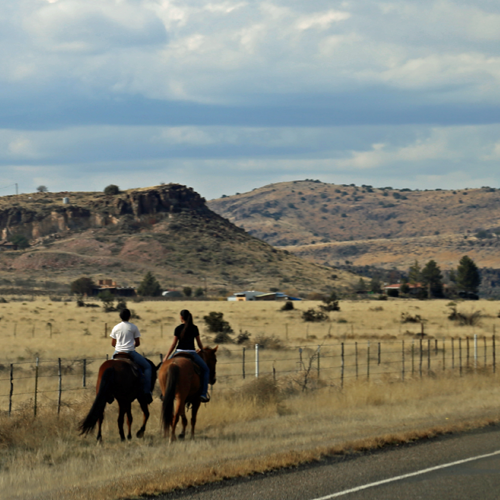 The drive between Alpine and Marfa goes through the Paisano Pass, an extinct volcanic field. 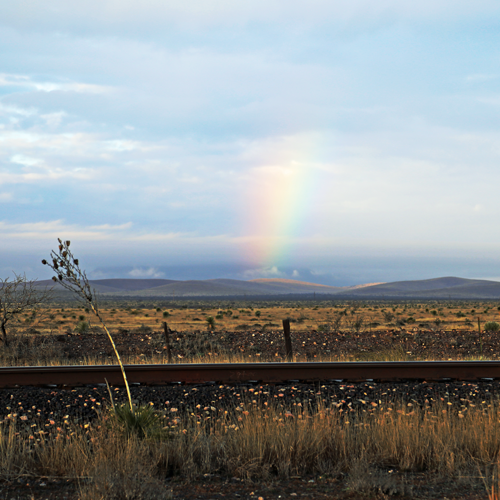 It was made all the more spectacular by a post-rainstorm rainbow. 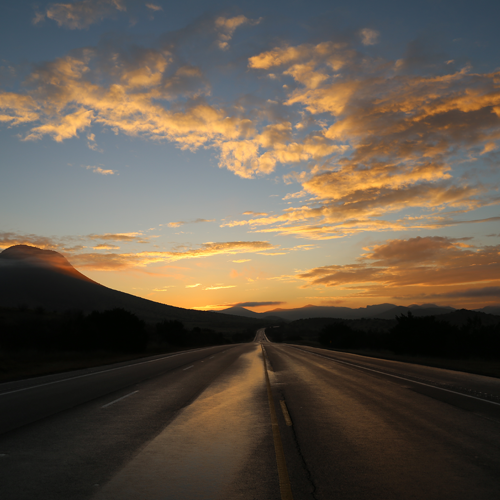 Thin, wispy clouds encircled inactive volcanoes, looking like something out of a Texan Lord of the Rings. 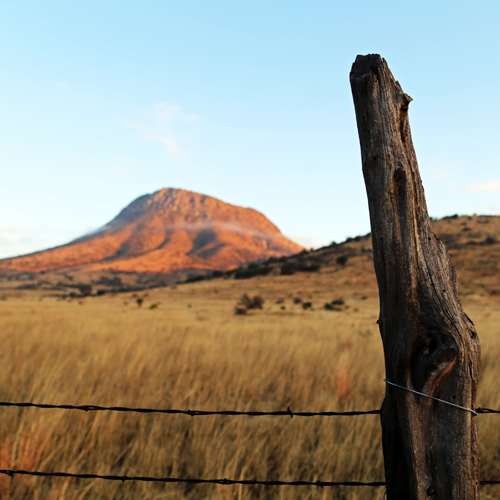 The scenery really has to be experienced, but we tried our best to capture its beauty with our camera. 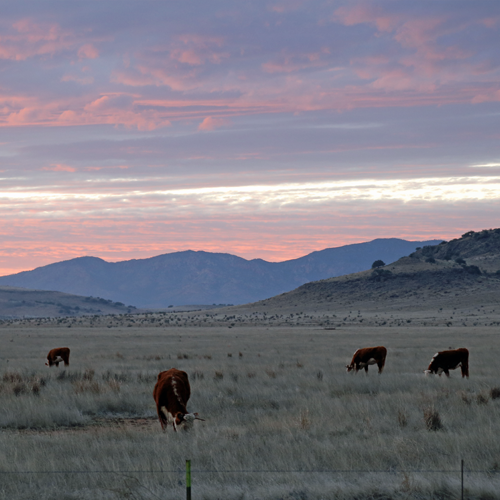 We drove one evening from Marfa to Fort Davis to visit the McDonald Observatory. These pretty, pink clouds below around Marfa became a thick blanket of cloud cover by the time we reached the observatory, so we were unable to use the telescopes. Still, the stargazing from our RV park was pretty sweet. Bonus: the Marfa Lights were pretty awesome, too — an unexplained phenomenon featuring bright lights roving the high desert. 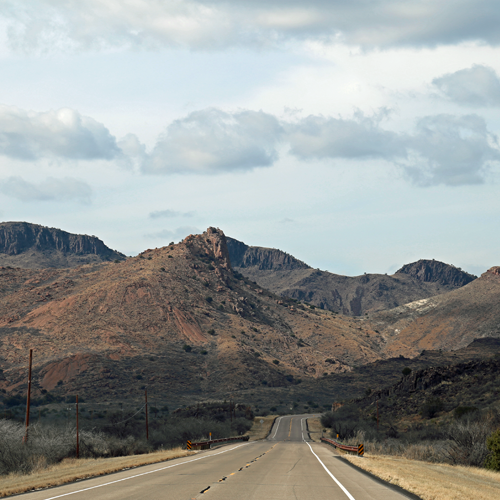 The highlight of our time in West Texas was a visit to Big Bend National Park, but that's a new post for a new day.Our two weeks spent in beautiful, rugged West Texas were peaceful and fun. I wouldn't be at all sorry to return. 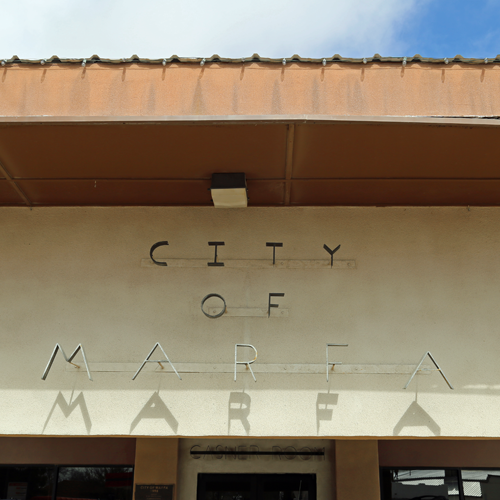 Have you been to Marfa or the surrounding towns? What's your favorite aspect of the area?